Surly has always been individual and self-confident in its outlook. 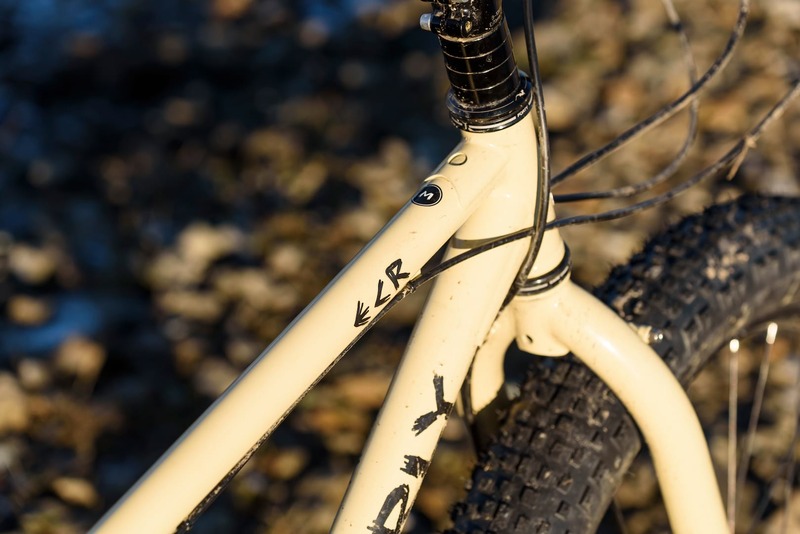 From pioneering the first production singlespeed (the 1×1, which pre-dated even Kona’s Unit and the On One Inbred) to popularising one of the first 29ers (2001’s Karate Monkey), Surly has always been focused on the fringes of the cycling world, even when those fringes encompass ‘just riding your bike and doing fun stuff’. Surly has always prided itself in its no-nonsense 4130 cromoly steel frames, always made to accept the biggest tyres possible and to be as compatible as possible with as many of those components that you have lying around in the shed. 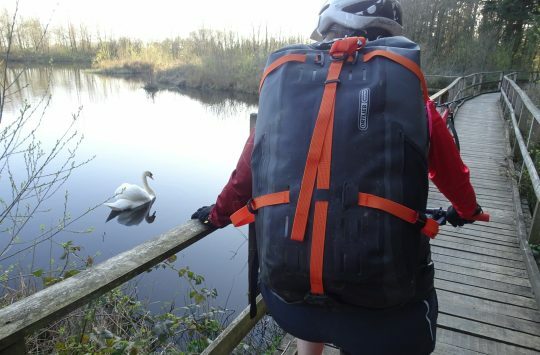 Surly describes the ECR as an “extreme off-road bikepacking rig”. 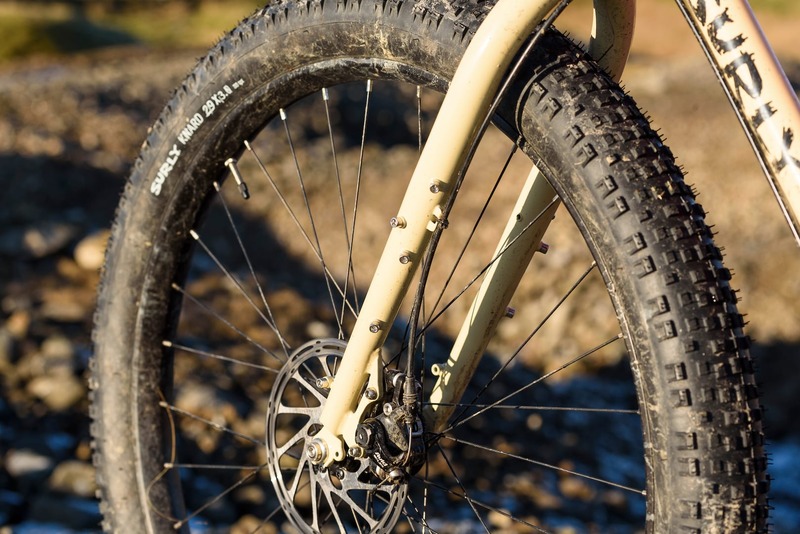 A few years ago now, amazingly back in 2012, Surly introduced its Krampus model, and singlehandedly popularised a whole new tyre size: that of 29in x 3.0in, or 29+. 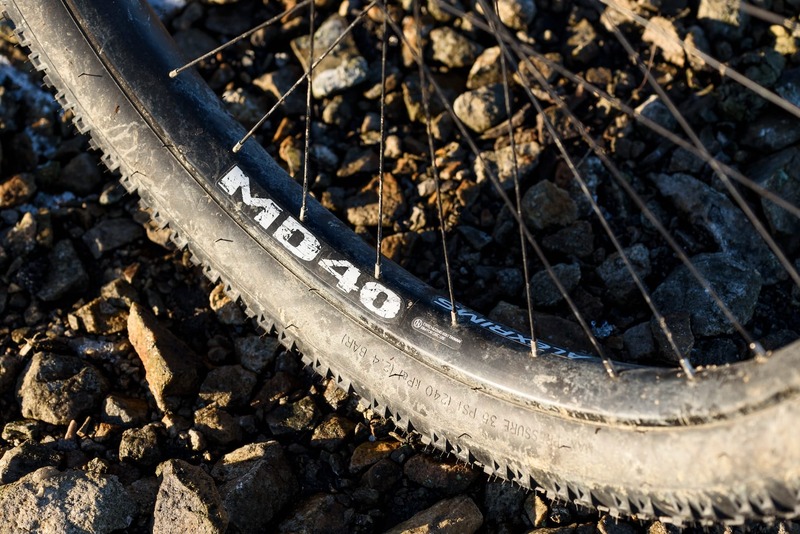 This was, and still is, a tyre size that baffles most riders and which is ignored by most of the bike industry. Trek’s Stache is one of the only other believers, along with Salsa, Surly’s stablemate at Quality Bicycle Products. 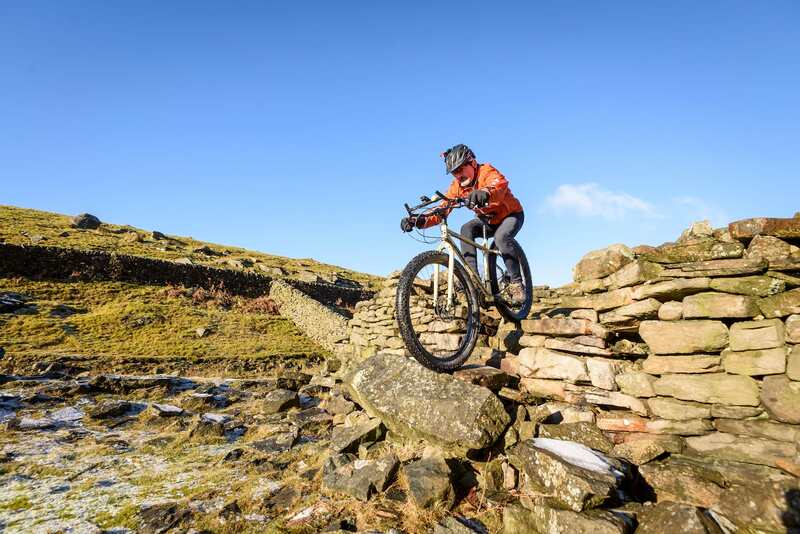 And, with the exception of a few small builders, that’s about it for 29+ believers, which is going to limit any tyre, rim or further bike development for simple economic reasons. 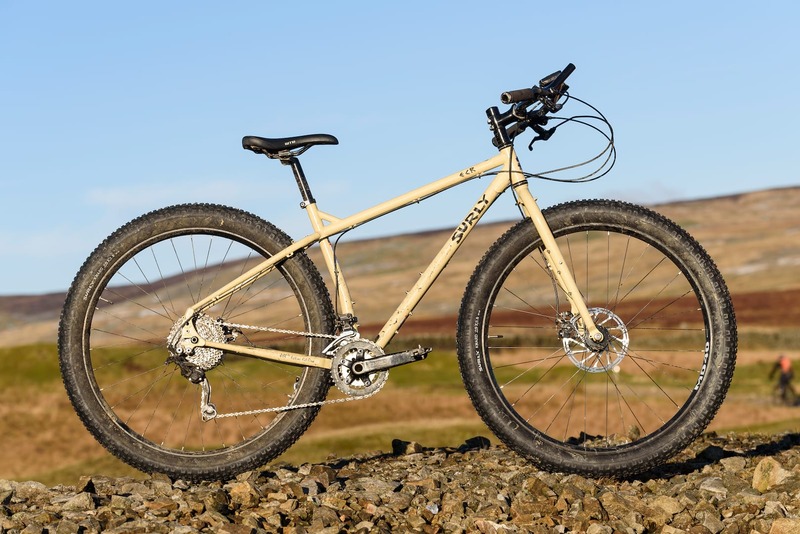 With huge 29+ tyres and those unique Moloko handlebars, the Surly ECR is a hard bike to miss. Once you look past the beige paint job and the cartoonishly large tyres, you’ll see bosses. Everywhere. This bike has more bosses than you have accessories, though you’ll probably find a way to buy more. From the triple ‘Three Pack’ bosses on the frame and fork, to the rack mounts on the forks, the top tube cable bosses, the under downtube bosses and at the rear – there are fittings for trailers, Rohloff hubs, racks, discs and probably mudguards, if you could find any this big. There are bosses literally all over this bike. The build kit is similarly eclectic. Starting with the statement-piece of the Surly steel Moloko handlebars, kind of like a pair of Jones bars had a fight (or love/hate affair) with a 1970s TV aerial, they are nonetheless big and bold enough to take every accessory you can throw at them, including bedrolls, GPS, feedbags, lights and one of those recipe book lecterns for good measure. You’ll have to drink some artisan Belgian beer though, so you have enough corks to plug the ends. Then there are the thumbshifters, which help increase the bike’s deep-country versatility, and quirky appeal. 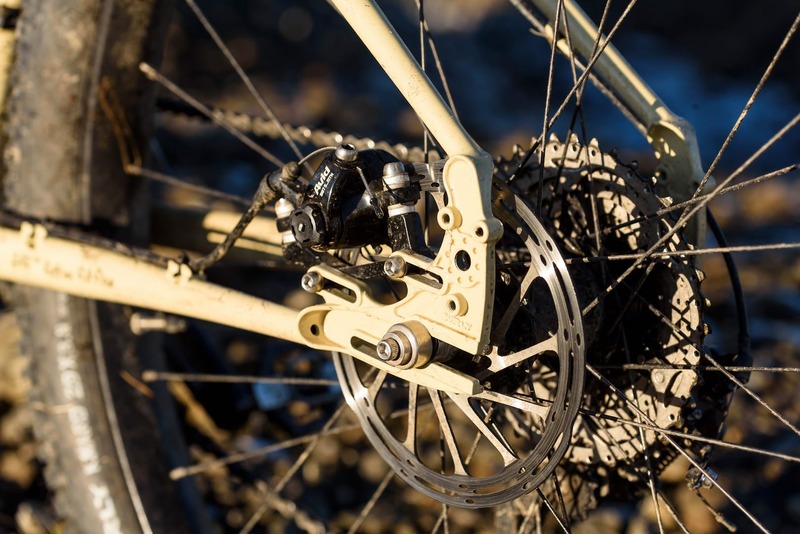 The same can be said for the Avid BB7 mechanical disc brakes and 180/160 rotors. While hydraulic brakes will fit and work perfectly on the bike, you’re as unlikely to see them on a Surly as you are Jones bars on a Bronson. Reminds you of Aliens doesn’t it? The bike has a hugely untrendy, but perfectly functional double chainset, with a 26/39T spread and a SunRace 10-speed 11-40 cassette out back, which should give you enough gears for some proper loaded touring. Unlike the other two bikes here, there’s no provision for a dropper post, but I suspect many riders won’t miss it. What you can’t miss, is the huge rubbery footprint that the bike delivers. With bolt-on Surly hubs and big, wide Alex rims, there’s no missing the Surly 29×3.0 Knard tyres. A true handful, they present a wide, but also very long contact patch, which makes the relatively shallow tread work a lot harder than it looks like it should. Wide Alex rims wrapped with 3.0in Surly rubber. 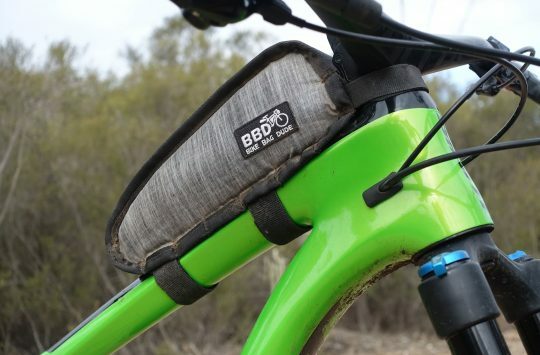 Frame spacing is non-Boost up front and Surly’s ‘Gnot Boost’ out back, a trick that framebuilders used to use when bike standards were always changing (nothing new there then). This puts the dropouts at 145mm or so, which means that if you have an older 142mm hub, or a newer 148mm Boost hub (as we have fitted) then you can simply bend the stays that 3mm either way in order to get it to fit. Steel is, after all, pretty forgiving about that kind of stuff. The sliding ‘Gnot Boost’ dropouts make rear wheel removal and installation a pain. The rear hub features a bolt-thru axle that works with either ‘standard’ and snugs up fine in the long slotted dropouts. The rear entry dropouts combine with the bend-to-fit stays to make rear wheel removal a right pain in the arse, but hopefully it’s not something you’ll be doing all the time. Once in place, though, nothing shifted. The long wheelbase and big volume plus tyres make the ECR a sure-footed thing. 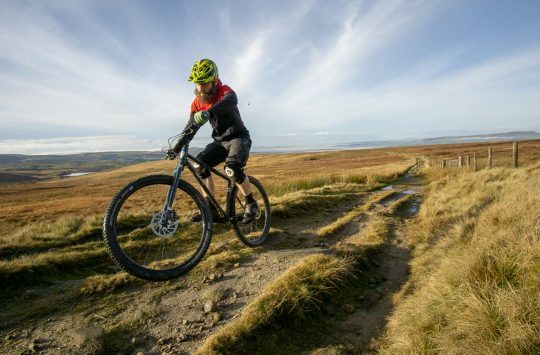 ‘The Ride‘ section of this review is for registered users only. If you have an account, please log in. If not, you can get access by registering here for free. 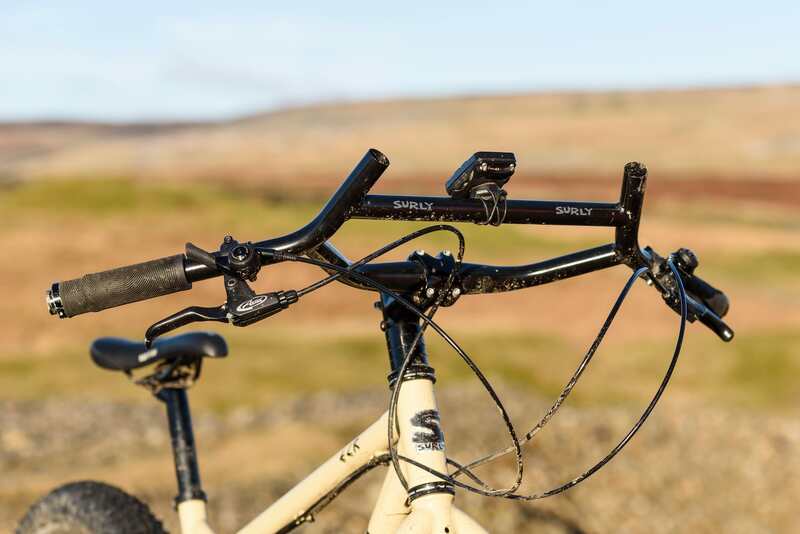 Registered users get access to exclusive content like this but they also get..
Frame // Surly 4130 double butted cromoly. Hubs // Surly Ultra front, Salsa 148mm thru rear. That is A LOT of spacers, did you try riding with lower bars? did it make any difference?